Blue Compass can design and develop a fantastic website and strategize and execute a digital marketing plan like nobody's business. However, that's not all. We also have a knack for painting houses and doing yard work! 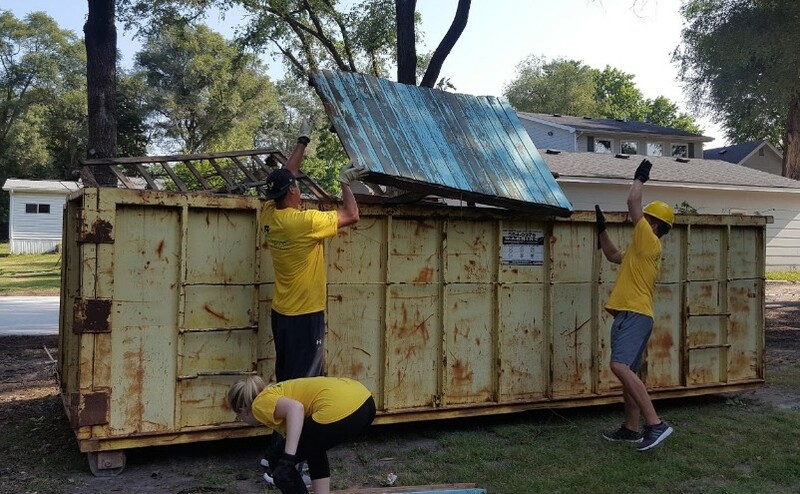 Over the years, the Blue Compass team partnered with Rebuilding Together of Greater Des Moines to help fix up local homes for families in need. 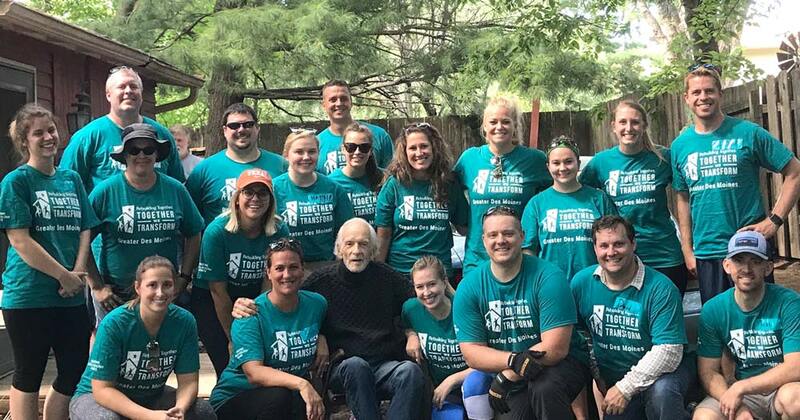 This fantastic non-profit organization works to revitalize and preserve homes of people with disabilities, the elderly, low-income homeowners and families with dependent children. It has served the Des Moines area since 1995 and has improved over 2,000 homes. Opportunities like this provide Blue Compass a chance to give back to the community. As an added benefit, the afternoon together outside of the office is an excellent time for some team bonding. On Friday, August 3rd, our team met at Rick’s house and began working around 8:30 a.m. This year the men of our group were given the exciting challenge of taking down an old garage in the backyard. Additionally, the whole team was involved in raking up leaves and debris, moving old appliances and organizing areas of the homeowner’s yard. We put in a lot of hard work and enjoyed helping out and getting to know our new pal, Rick! Our crew was so thrilled to work on his yard last year, we returned to our friend, Jack, again this year. 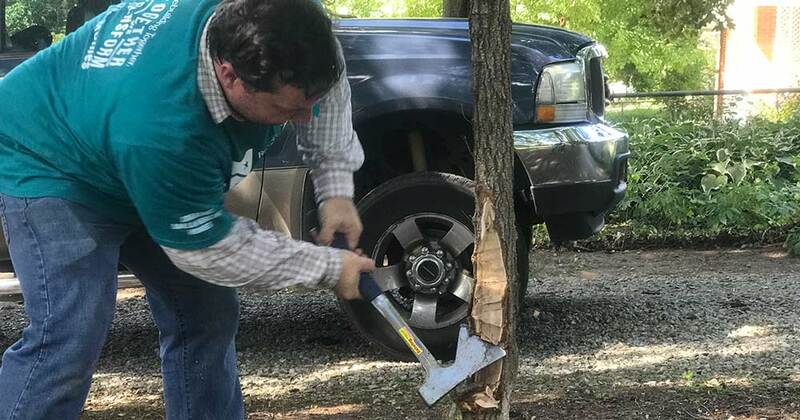 On Friday, August 4th, we removed a lot of debris from the yard, created a path around Jack’s house to make it easier for him to get to his car, cut down dead trees and had an entertaining ax throwing competition. 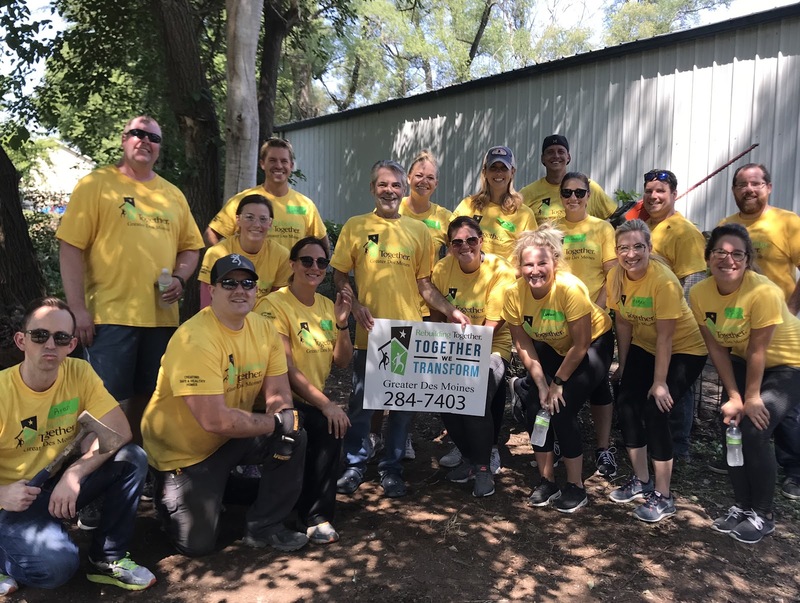 To learn more about our volunteer work for Jack through Rebuilding Together, check out their article! This year we traded in our paint brushes for rakes and other yard tools! We cleaned up the yard of a local senior citizen and had a lot of fun as a team along the way. The day entailed a lot of yard work and a small run-in with poison ivy for David, one of our back-end developers. Luckily it wasn’t his back-end that encountered poison ivy! 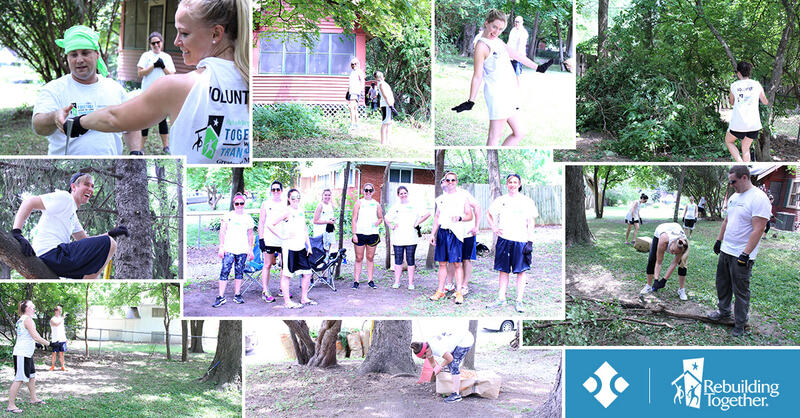 On Friday, June 19th, our team left the office for the afternoon to help our local community! A good time was had by all and in the midst of the hard work, a few shenanigans ensued. "Our service days are my favorite 'outings' that we have at Blue Compass," says Stephanie Campbell, Account Executive. 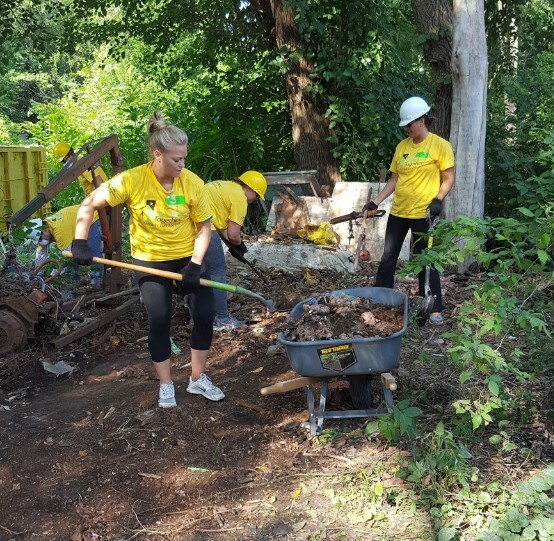 "This year's Rebuilding Together project was challenging, but it was amazing to see how much we accomplished in just one afternoon. It's so rewarding how just a few hours of time can positively impact a person's life, their family, and an entire neighborhood!" 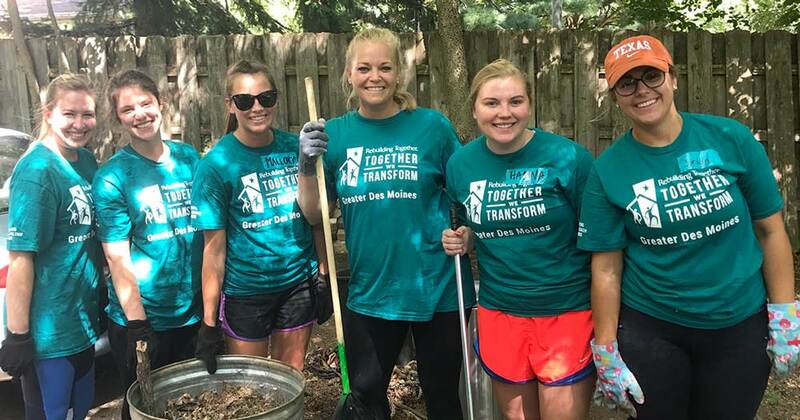 "Everyone on our team is honored and excited be able to serve the Des Moines community, partner with Rebuilding Together, and get out of the office for a fun, incredible experience," concludes Drew Harden, Blue Compass President. If you're interested in helping Rebuilding Together of Greater Des Moines, donations can make all the difference. See how you can help make homes healthier and safer for their residents. We're always looking for opportunities to give back. If you know of an organization that could benefit from volunteers, let us know! Mallory double majored, earning her B.S. in Marketing and Management from Iowa State University. She writes SEO-focused content pieces and executes social media and search marketing campaigns to drive traffic back to clients' websites. Mallory is always eager to learn more about the latest trends in SEO and all things digital marketing, and is ready to take on new challenges.